For 1500 years Hurlingham field has been a site of natural tranquillity and respite. Since the first Anglo-Saxon settlers first founded a farm there after sailing up the Thames (possibly giving the field its name - “Hurla’s Ham”) Hurlingham has welcomed its visitors with lush grass, the leafy shade of regal oaks and the gentle lapping of the river. Today The Hurlingham Club continues this legacy, the grand architecture and pristine gardens playing host to those looking to escape the hustle and bustle of city life. The Club’s calendar is filled with luxurious social occasions from summer fêtes to dinners and 'Carols by Candlelight' in the winter. Alongside the Hurlingham’s function as a private club, they also have a number of majestic venue spaces available for hire. 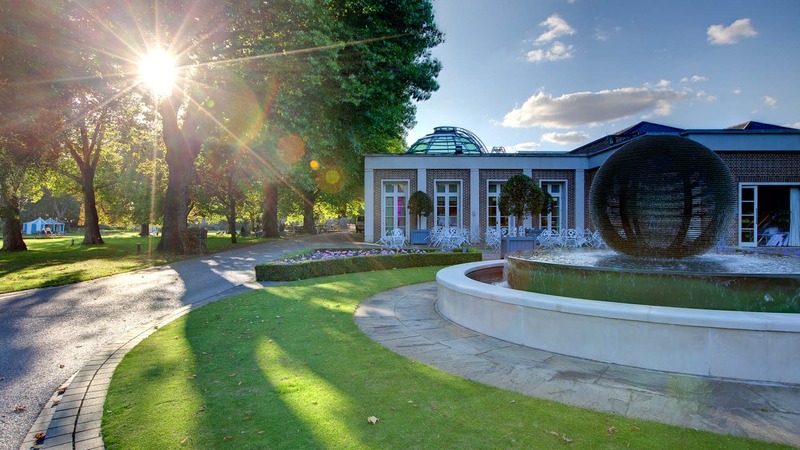 The grounds of the Hurlingham Club have long been the site of summer games and frolics. 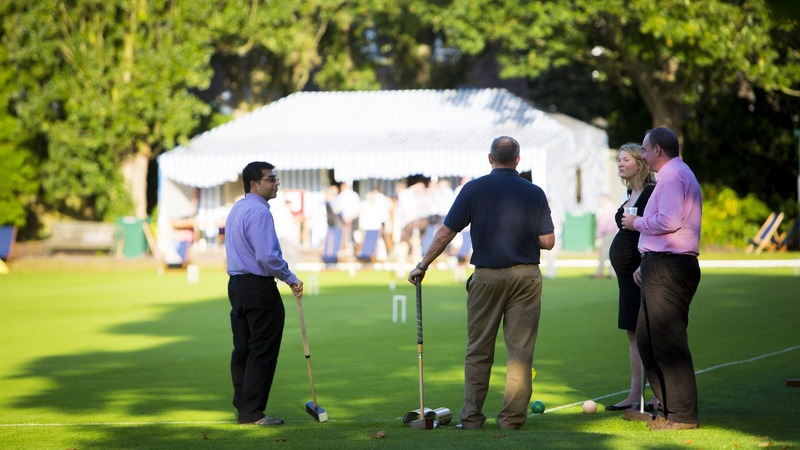 From games of croquet and lawn tennis to hosting the London gun club in the 19th century. Today the quintessential English setting of their grounds has become a hidden gem in the west of London. 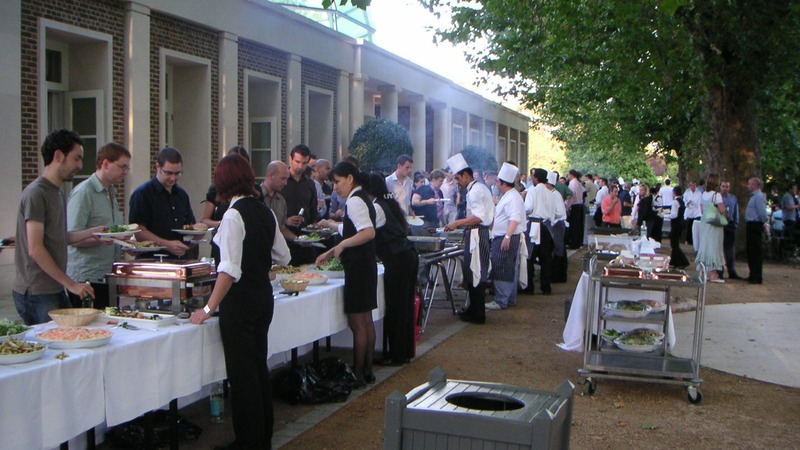 Sitting close to Putney Bridge, south of Fulham Broadway, the Hurlingham Club offers several different summer packages to include sumptuous BBQ and free-flowing drinks. The gardens are incredibly flexible when it comes to hosting events so whether you’re hosting intimate drinks or a 1000 guest reception. Offering a modern intersection between the delightful gardens and the stately main building is the Palm Court and Orangery. Covered by a grand glass roof this grand event space offers a benefit of an indoor space while still offering a connection to the natural beauty of the surroundings thanks to the ambience created by the glass ceiling. Day or night, the ceilings add a real wow-factor to the space, flooding the room with natural daylight and at night the ceiling is beautifully illuminated. 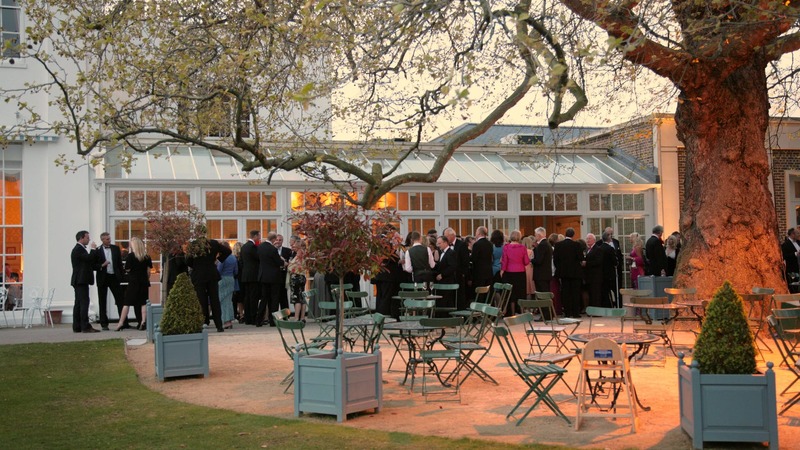 For business events, the Hurlingham Club can host all sorts of events with the traditional atmosphere of a country house set within the beating heart of London. The Hurlingham Suite offers a distinguished space that runs the length of the south facade and can accommodate up to 1200 people standing. Delegates and guests can enjoy lawn views and drinks on the terrace as the perfect accompaniment to conferences and talks held within the suite. 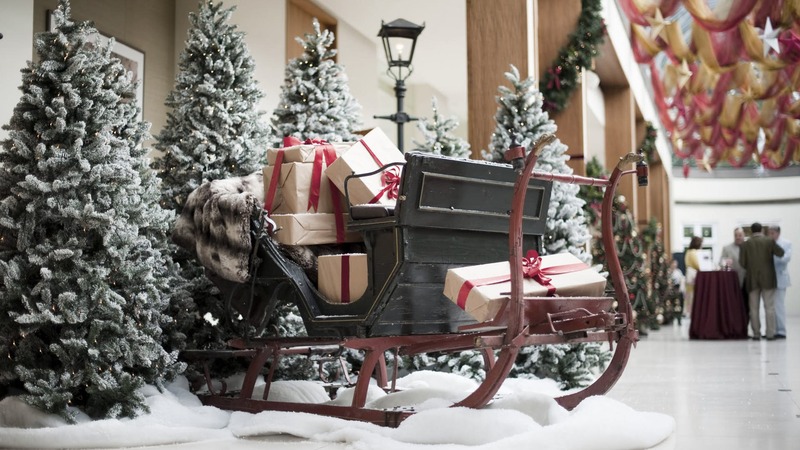 The Hurlingham Club is truly a venue for all seasons. Just as they are masters of the elegant summer party, Christmas events at the club are just as luxurious. The Hurlingham events teams have put together amazing Christmas party packages for lavish events this Christmas season, creating a truly memorable experience in the Club’s banqueting room. 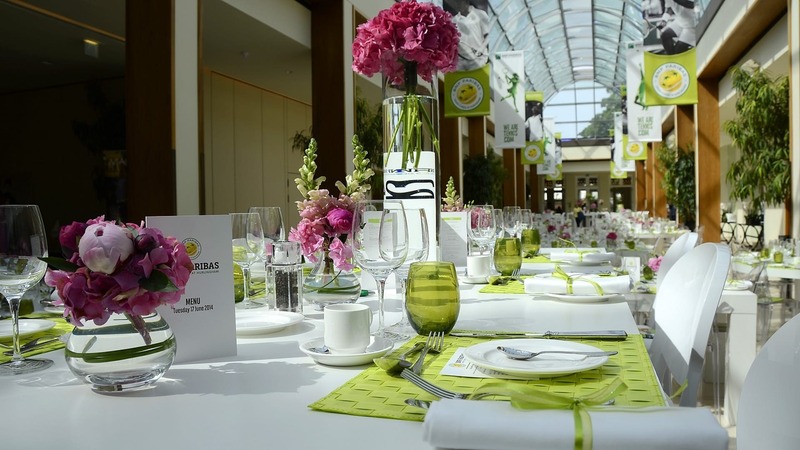 Booking your event at the Hurlingham club allows you to participate in a long tradition of excellence and luxury. Whether you’re enjoying a garden party or Christmas banquet, this venue offers a tranquil escape yet sits in the heart of London offering excellent transport connections. Guests can waltz away the evening at a Christmas dinner and dance or relive the halcyon days of Victorian recreation in the gardens. 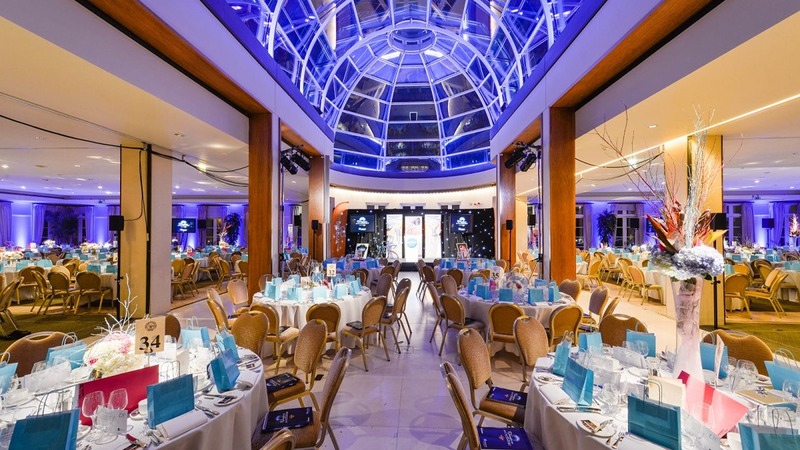 Want to plan an event at the Hurlingham Club? Enquire with our Venue Experts for help and advice to make booking your event a joy.